I began raising chickens over 20 years ago with our first little backyard flock and a desire to feed my own family. Through that time, I’ve found that though I can’t necessarily afford to buy the best food with which to feed my family, I can afford to grow it. That is what we’ve sought to do on our diversified small farm. 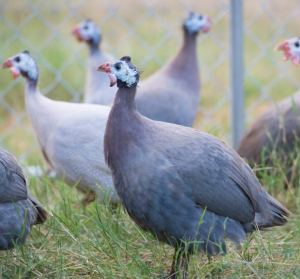 We currently raise several different breeds of heritage chickens plus guineas. One maxim I have continually found to be true is: if we take good care of the birds, they will take care of us. So we’re always seeking to maintain and improve the care of our birds. Proper housing, with excellent ventilation, a watchful eye, clean water and waterers, fresh feed, small flock sizes, and good quality stock from our farm or other reputable sources—these all make a difference in the quality of our birds. Taking care of chickens is a seven day a week job. Each day while we’re feeding and watering them and gathering the eggs, we’re interacting with and observing them. Our time spent with the birds makes them more used to human interaction and lets us see and fix any problems sooner. We intentionally keep our flock sizes small and avoid unnecessary mechanization, so there’s a lot of hands-on interaction. As we’re walking through the coops, pens and brooder room, we’re talking to the birds, we’re using our noses to assess the air quality, we’re examining the condition of the bedding or pasture that the birds are on, we’re listening for any sounds of distress and our eyes are constantly scanning, looking for any chickens that might need a little extra care or attention. 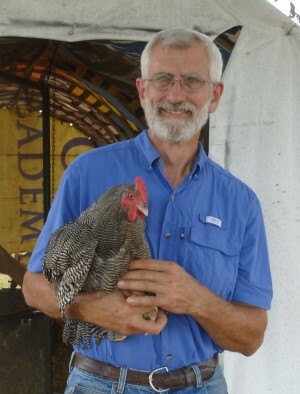 At Claborn Farms, we sell started pullets (young female chickens of various ages) and guinea keets. We have started cockerels available in limited supply or by special request. 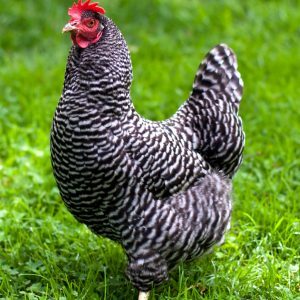 In addition, we offer a variety of classes and consulting services because we want to be sure that our customers, too, will be successful at raising their flocks. Occasionally, we offer tours of our farm. 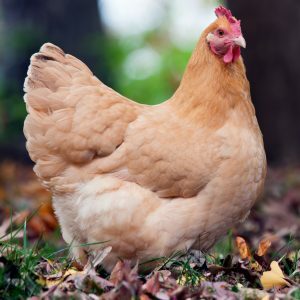 We also offer free guides (in ebook form) on how to get started raising chickens and how to maintain productive flocks and a free email newsletter.